Place the currants and cranberries in a bowl and pour over the sugar mixture. Set aside for 10 minutes or until the fruit is plump. Drain and allow to cool completely. Place the ice-cream, vanilla and cinnamon in the bowl of an electric mixer and beat for 1 minute or until softened. Stir through the currant mixture, pistachios and brandy and spoon into a 1.75 litre-capacity pudding basin lined with muslin. Top with a round of non-stick baking paper and freeze for 4 hours or overnight until set. 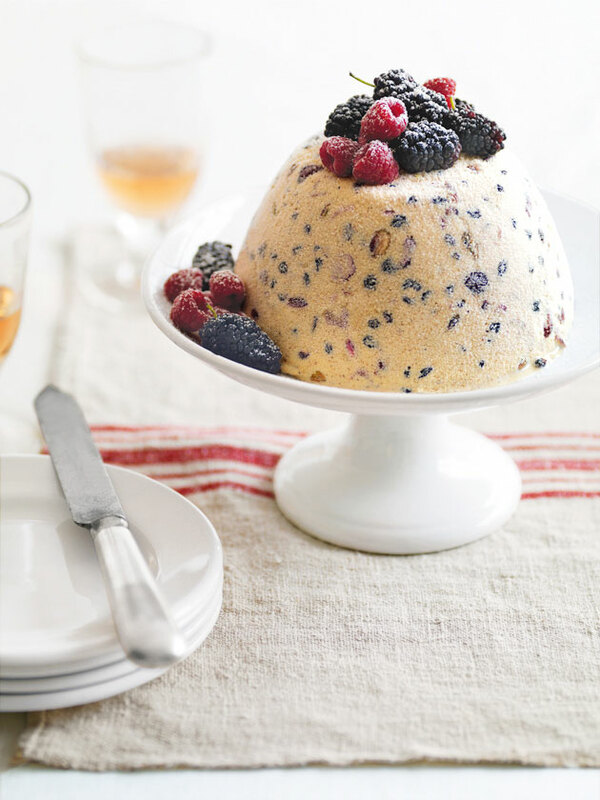 Top with berries and dust with icing sugar. Serves 8–10.